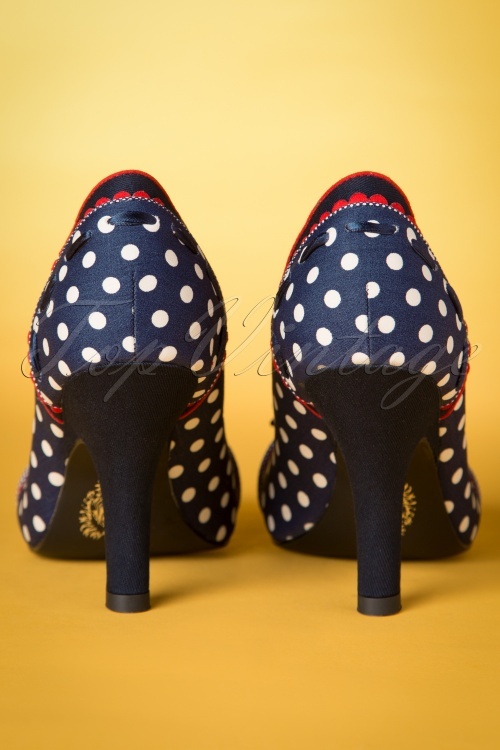 These 50s Amy Polkadot Pumps are real eyecatchers on your feet! 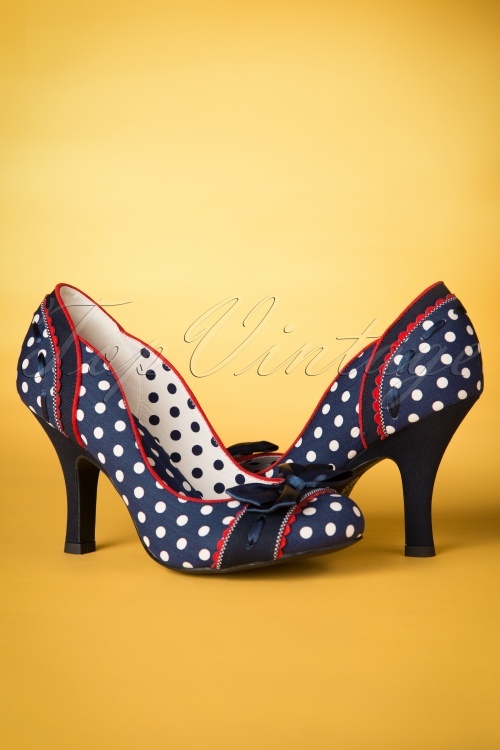 These beauties have everything you could wish for in a pump; stylish, elegant and super comfy! 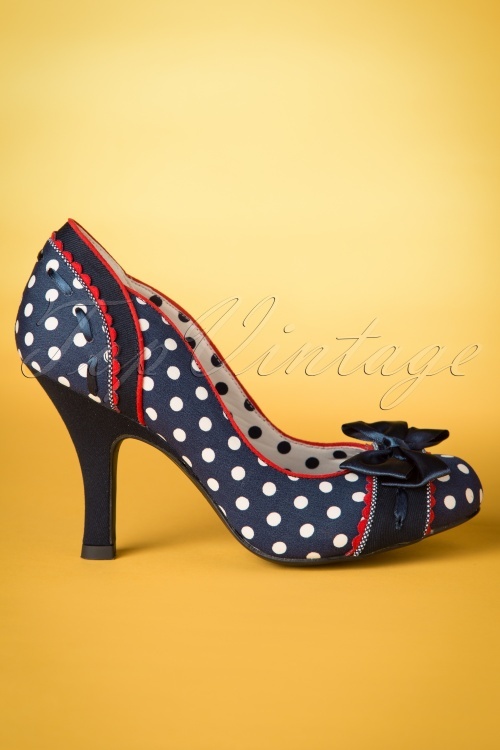 Made from a dark blue fabric with white polkadots, eyecatching red trims and a gorgeous dark blue satin bow... wow! 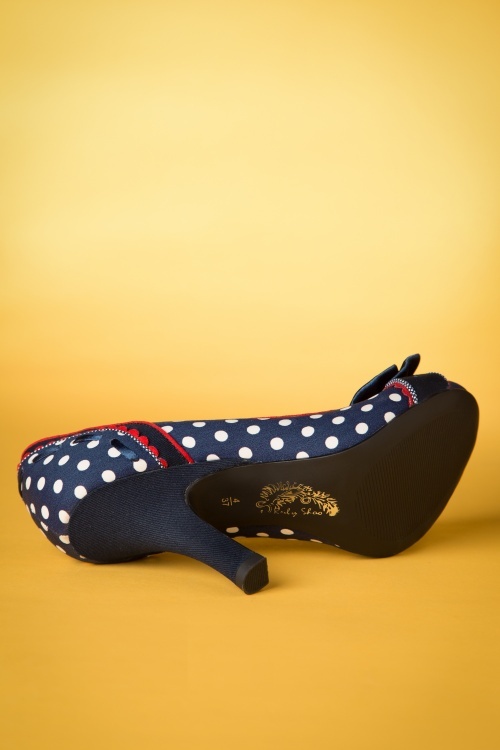 Thanks to the padded insole they also have a great fit ;-) L-O-V-E! 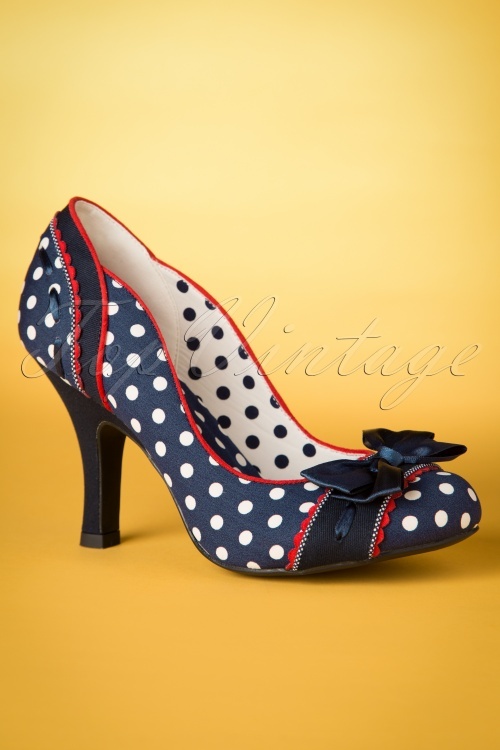 Sehr schicker Schuh. Nicht zu hoch und vorne angenehm breit. 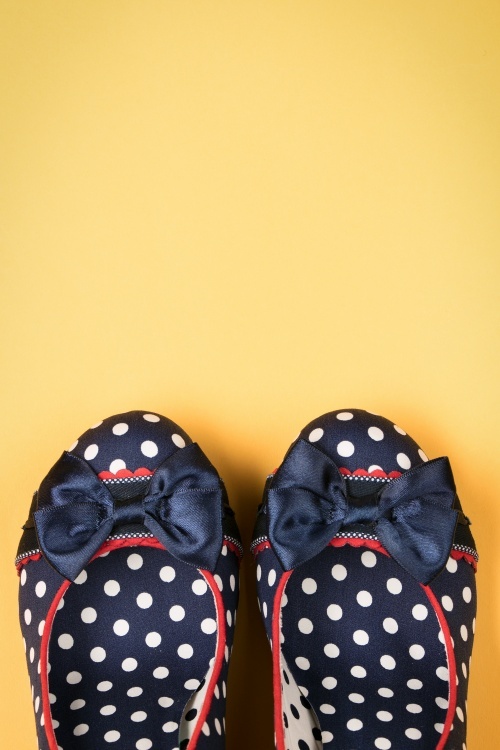 Leider fällt die bestellte Grösse 42 zu gross aus, daher Umtausch. 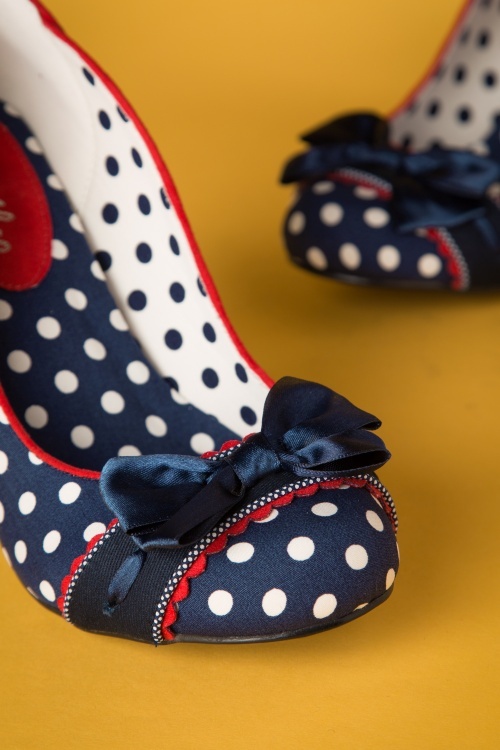 mooie schoenen met leuke printje en zitten herrelijk. Viellen alleen een hele maat te groot uit. Jammer!